NOx sensor development began unofficially due to the belief that NGK shouldn’t discontinue its sensor products. During the process of trying different things, a shift in thinking took place that led to the world’s first successful implementation. It was made possible by the refusal to give up, the spirit of tenacity, and an obsession with practical application. Our R&D journey began with just two engineers. 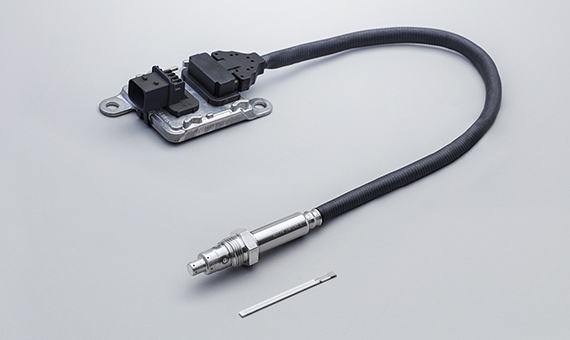 Automotive oxygen sensors had been developed as part of NGK’s business, but in 1989, the company abandoned this field due to the opportunity for establishing a joint venture company with NGK Spark Plug. Then, in 1992, the Functional Product Division’s Sensor Department was downsized to the Sensor Office, whose purpose was technology transfer and service part management, with just two engineers assigned to it. From the perspective of the personnel who had been involved with oxygen sensors, the decision was regrettable. 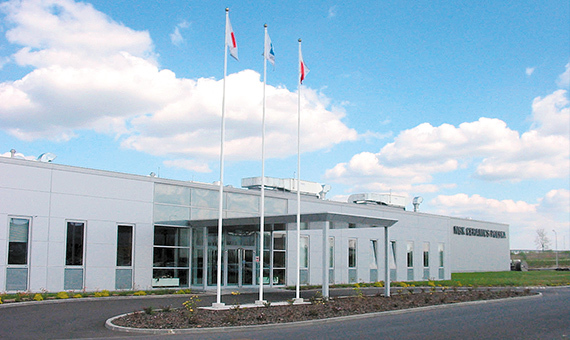 NGK had been studying zirconia ceramics since 1960 and had acquired a great deal of knowledge. Was it really okay to discontinue the tradition of making sensors that used ceramic technology? "We cannot give up. We don’t want to give up." That’s how the two engineers who were assigned to the Sensor Office felt, so they started developing the NOx sensor. Unofficially. They carried out these efforts underground, doing things unofficially all the way. The reason the two engineers focused on the NOx sensor was that there were technological affinities between the oxygen sensor and the NOx sensor. However, they soon run up against a wall. High-precision measurements were more difficult than they had originally thought. The solution they finally arrived at after great difficulty required a shift in thinking from “What gets removed from the chamber?” to “What remains in the chamber?” They arrived at a basic principle for a practical NOx sensor, something no one in the world had ever done before. They applied for a basic patent under both of their names on April 21, 1994. It turned out afterward that the timing of this application was quite remarkable. 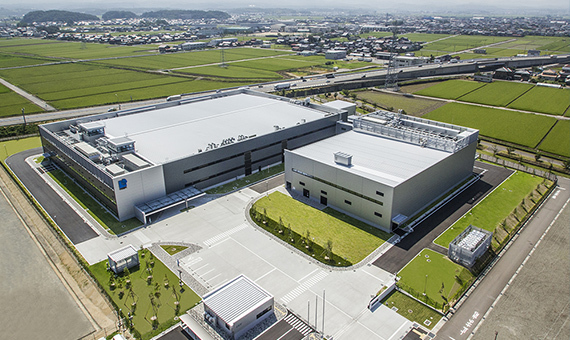 Patent applications for the same discovery were filed one week after NGK’s application by a company in the UK, and three months later by another company in Japan. Just one week’s difference. One of them said, “We were just lucky,” but it wasn’t purely luck. If they hadn’t continued in their R&D efforts immediately after the oxygen sensor was discontinued, they would never have had this luck. The fate of NGK’s NOx sensor business came down to just one week. 1. In Chamber 1, any oxygen present in the exhaust gas is removed first. 2. In Chamber 1, combustible gases present in the exhaust gas are burned. 3. In Chamber 1, NO2 present in the exhaust gas is replaced with NO. 4. In Chamber 2, the NO is decomposed by the reduction catalyst, and the amount of oxygen generated at the time of decomposition is measured. We proceeded with detailed designs and verifications based on the basic concept in 1995, creating over 200 samples during this time, and after repeated persistent efforts, the product was nearing its final form. 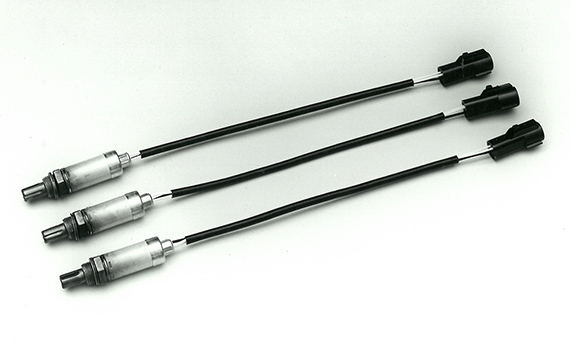 While we continued to evaluate our products, we began offering the NOx sensor to automobile manufacturers. However, the response from every Japanese automobile manufacturer was, “We don’t need it,” and although the response from European automobile manufacturers was better, in the end, no one adopted it. In 2001, a European automobile manufacturer did adopt it, and we took that opportunity to commercialize the product. However, we didn’t receive full-scale orders for it, and we waited for another opportunity. Our NOx sensor business was consistently unprofitable from commercialization in 2001 until 2010. In 2009, we set aside provisions for quality defects, and management was upset. However, we decided not to withdraw from the project because we firmly believed there was a future for NOx sensor. Then, at least, in 2010, there was a sharp increase in orders for our NOx sensors. This was because in addition to strengthening the regulations on trucks, the government began applying regulations to passenger cars as well. It was also great that we were able to monopolize the market thanks to the patent we had acquired. However, that patent expired in 2015, so we have been working on new technology research and the development of new products. The willingness to take on the challenge of the NOx sensor, begun by just two engineers, led to big results. This was made possible by the indomitable spirit of engineers and the convictions of management who had held up through the difficult time while the company was suffering from deficits. It wouldn’t have come about without the obsession of two engineers who believed that sensor products should not be discontinued. One of these two engineers, Nobuhide Kato, passed away in 2002 without seeing the fruit of the NOx sensor project. We owe it to Kato to develop the sensor business even further, since it was his hard work for the business development, starting with his time on the oxygen sensor, that left us with the NOx sensor.